An open letter from Jim Paice, Minister for Agriculture, to the farming industry. The Campaign for the Farmed Environment (CFE) is just over one year old but has done much to raise farmers’ awareness of the environmental benefits that their land can deliver. I am grateful for the work that partners have been doing to make the CFE stronger but there is still some way to go. Farmers cannot afford to relax. The Government is putting food production back up the agenda, but we have made it clear that this must be done alongside protecting and enhancing the environment and farmers must show they can do both. We want the campaign to be a success and don’t believe that we should regulate and impose more red tape if the farming community can achieve the same results through its own actions. 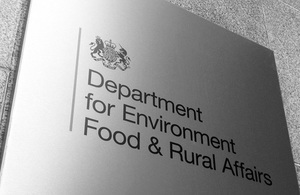 The CFE is the farming industry’s chance to demonstrate that this voluntary approach can work better than regulation and that they are best placed to decide on, and tackle, their local environmental priorities, without intervention. But if the farming community cannot step up and achieve these results voluntarily the Government will have to consider a compulsory approach to deliver these same benefits. I will be looking carefully at the CFE’s progress during 2011 and I hope to hear more about the actions farmers are taking to protect our wildlife and justify the trust that we are placing in them.